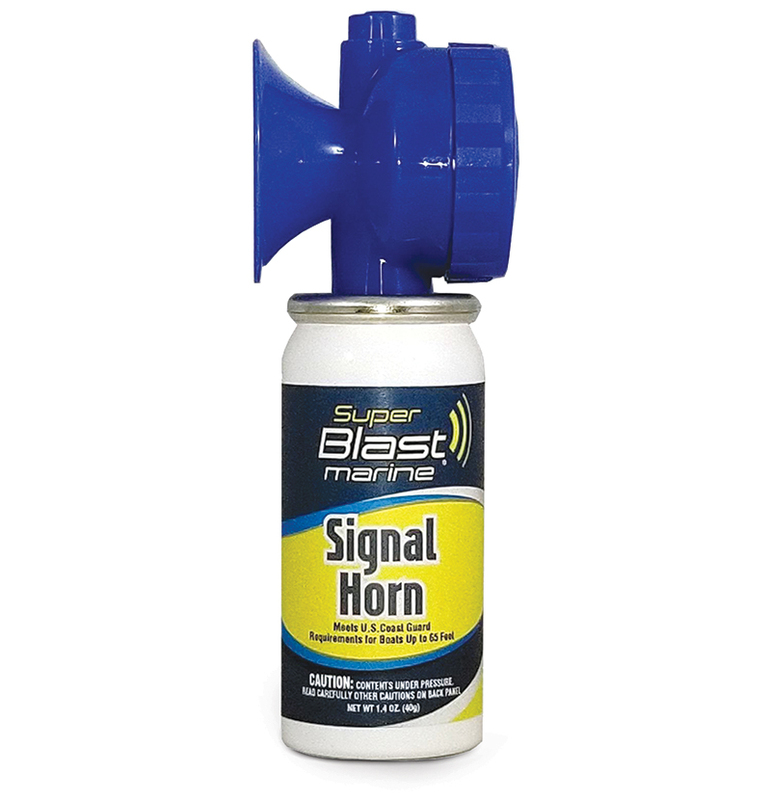 The MAXPRO Super Blast Signal Horn delivers a 119-decibel sound, meeting all U.S. Coast Guard requirements for use on boats up to 65 feet. The 1.4-ounce horn is pocket sized and convenient to have on hand. Refill 5.5-ounce canisters are sold separately.